The ability to communicate is arguably one of the most important attributes of any successful person — being able to get your point across clearly, concisely, and more to the point — persuasively. In life sciences, as in many other highly skilled industries, we often look first at technical ability, experience, and education first, but it’s the soft skills that elevate some above the rest. Effective leadership, in fact, depends on soft skills. Soft skills provide a basis from which executives are able to lead through others–in essence, being able to motivate and persuade those they lead to carry out their vision for the betterment of the organization. You might say that it’s an exercise in storytelling as much as it is in leadership. Your teams need to be engaged with the plot line in order to move that story along to its ultimate conclusion. In any life sciences organization, there are many departments whose jobs are so technical that they actually have their own language, their own terminology. It’s the way they communicate among themselves, but another department may have little understanding of their jargon, relying instead on their own inter-disciplinary lingo to communicate to their own team and peers. As a leader in the c-suite, a working knowledge of the jargon used by each department is necessary, but even more important is the ability to translate that information into plain English that anybody can understand. Why is this important? As a leader, a c-suite exec is in a position where they need to be able to take what is happening in any given department at any given time and relay concerns and issues in a way that is understandable to the rest of the executive team — and also to be able to speak directly to the stakeholders who are at the heart of the issue. Beyond the ability to understand and communicate between teams, a c-suite exec needs to be able to empathize. This is a key attribute in the process that will ultimately lead to a successful resolution of the issue at hand. Without the ability to truly empathize, there is no impetus to find a solution beyond the obvious. Our top talent in the c-suite does not get there by being unapproachable, rigid, or closed-minded. The leaders we look to for the guidance and vision we need are not only easily understood, they are good listeners. They are intuitive, they encourage open dialogue, and are pivotal in encouraging collaboration and productivity. They are as transparent as they are personable. While these are qualities we aspire to at the management level as well, they are traits that most c-suite executives have mastered. They possess a combination of practical and theoretical knowledge and can put an analytical slant on a situation while also applying best practices, employing a combination of these things to arrive at an equitable solution. As opposed to a manager who may be operating on a reactive or gut-level basis, c-suite executives must function at a higher level, a place where opportunity springs from adversity and solutions are not just of the break-fix variety, they are sustainable and far-reaching. All organizations have a very specific culture. If the culture is high-performing, it’s important to be able to maintain its functionality clear to the c-suite. This means that their leaders need to be able to recognize that culture and provide a habitat where it can thrive and grow. Even if an executive is coming from a completely different niche, a different industry or a different country altogether, their ability to articulate and embody the values and the culture of an organization are what is going to support it best. 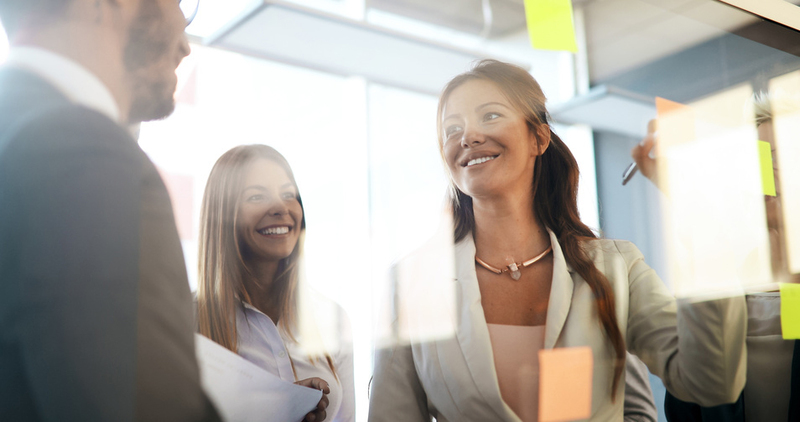 Knowing what motivates employees is the key here, and having the insight to recognize what needs to be said or done to continue to motivate them brings value that resonates throughout every department. Having mastery over these soft skills is a common thread we see in the c-suite. These are skills that will rise to the fore in times of change–and if anything is a constant in today’s world, it’s change. The ability to foresee the change that’s coming and then to gently steer the organization and its people towards that future demonstrate true leadership. While some changes are subtle, others can be life-altering. This could be due to sweeping regulatory restructuring at the government level, internal or external financial trends, or technological transformation. Any of these things could cause widespread disruption and fear that the mission is not sustainable. This is a situation that illustrates just how important soft skills truly are in the c-suite, as an effective leader can help brace for the change and gradually steer their organization in a positive direction, using persuasion, empathy, and their innate ability to tell the story of how all will be overcome. While soft skills may be viewed by some as being intangible, your executive recruiter can play a significant role in helping to identify these qualities in potential executives. Call or request a quote today. You’ve interviewed, you’ve called back, you’ve shortlisted. When you are closing your search for an ideal candidate, you should count yourself lucky if you have two or more to choose from on your shortlist. Since you already know that candidates on your shortlist are well-qualified, your approach needs to shift somewhat. How do You Recruit Top Talent? Attracting and retaining top talent is a strategy unto itself. In today’s competitive job market, many skilled workers are opting for freelance and contract work over permanent full-time positions simply because it gives them more options in the long-term. To win them over, you would need to provide a compelling argument as to why a candidate should choose your company over, say, a start-up who might appear more progressive in the Life Sciences sector. The constantly changing digital landscape doesn’t make your task any easier, either. Many traditional roles are changing. Regulatory compliance, reporting standards, and data privacy issues are top concerns. You may well need temporary employees to get you through your digital transformation, and in the end, you may still be left with gaps to fill. All this considered, having more than one candidate on your shortlist can be seen as an incredible stroke of good fortune. In consideration of every little thing that could impede your progress, both known and unknown, you need to make sure you choose the right one. You have navigated your way to the finish line in your recruiting process. You already know that the candidates on your shortlist are well-qualified to do the job, so you really need to go deeper in order to establish not only the candidate’s potential to grow into your plans for the future but also to see whether they will be a good cultural fit–in other words, how will they get along with the rest of the team? Often, once these elements are placed under the microscope, the right candidate will emerge. Your shortlisted candidates probably have quite a lot in common. They all have the right qualifications, experience, certifications, track record, and attitude. But, what are the differences? What sets them apart from each other? And most importantly, is there anything in their personality or background that is going to negatively disrupt your established culture? When your decision-making is down to the wire, assessing soft skills is essential. Your candidate’s ability to communicate and work well in a team environment is what will pave the way to a successful onboarding. Other soft skills to consider include social intelligence and emotional intelligence–two crucial skills to have when working with others. Emotional intelligence can be described as one’s ability to empathize with others, while social intelligence is more of an awareness of one’s own self in relation to the larger group. It also refers to a person’s ability to adapt, cope with, and manage change, an essential quality in today’s mutable business environment. Craft lines of discussion around these topics to see how each candidate would respond to certain situations. Tip #2: What’s in Your Future? Where your company is right now may have little resemblance to where it will be 10 years from now. If you have a reasonably good idea of where your industry is headed and the direction you will be taking your organization, you should be able to separate the women from the boys in terms of your shortlisted candidates. Do they have the foundational skills to evolve along with your company’s mission? Do they have vision enough to add value to your operations as you evolve? Are they interested in learning new skills? Do they show leadership potential? Dive deep into each candidate’s goals to understand what really motivates them and where they see themselves in 5-10 years. Tip #3: Is it a Good Cultural Fit? The benefits of a strong company culture include an increase in productivity, collaboration, and innovation as well as a significant reduction in employee attrition. It also contributes to your brand identity as people, ultimately, are what drives the company forward. If your company has a strong and identifiable culture, it is important that your new hire blends well with the existing team. If the cultural fit is good, they will get up to speed faster, perform better, and stay on the job longer. At this point, you might think about bringing your team into the process. Allow your shortlisted candidates to spend some time with the team they will be working with, either as a shadow or on a more casual basis and see how they mesh. Onboarding your next Life Sciences superstar doesn’t have to be a pain point. If you are interested in speaking to one of our medical headhunters about your recruiting needs, call Pact and Partners today. Placing the right leadership for your organization can mean the difference between simply operating and making a significant difference in the lives of the people you serve. Executive talent is never easy to find, but in the Life Sciences space, it is even more of a challenge due to high burnout and turnover rates. An individual may excel in a clinical setting, but may not be cut out to lead at the c-suite level. In theory, they may seem like the perfect fit–they know your people and the issues you face on a daily basis, they understand the mission and objectives, but they may lack the key qualities we look for in our executive leaders. For a high-level placement to succeed, the fit needs to be just right for your culture and your clinical focus, but how do you quantify this and what are the marks they need to hit? Your choice of a Chief Financial Officer, Chief Operating Officer, Chief Medical Officer, or any other c-level position is legacy-creating. The right or the wrong person can impact your business operations and reputation for years to come. For this reason, choosing the right person for the job is absolutely crucial. Having a great cultural fit is a small part of the bigger picture, but it may be the most important. While it may be hard to define, a cultural misfit will be easy to determine. The basis of culture is found in the alignment of beliefs and behaviors to the company’s values and mission. Your leaders, while they may not be in the trenches with the clinicians and practitioners, need to have a deep understanding of what motivates the team. They should also be able to implement changes in such a way that it does not disrupt a functioning culture and they should also be able to introduce new ideas and methodologies successfully, fostering an atmosphere of respect and confidence among the rest of the team. Ask yourself this: what qualities does my company culture possess that need to be reflected and supported in its leadership? Innovation, efficiency, customer service, and communication are all highly desirable traits. Technology and learning could also play an important role in shaping your culture. If you can describe your culture, alignment with these traits should be a prerequisite. Experience is important, but what kind of experience is the most important? 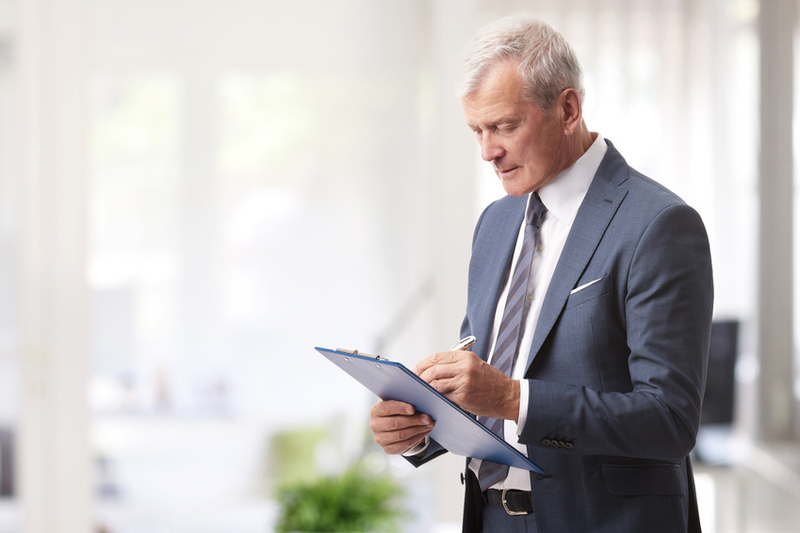 Is it more important to hire experienced executives for executive positions, or is it preferable to hire physicians with no executive experience? do you hire internally, or conduct your search externally? The answers are as complex as the question and what works for one organization may not work for another. 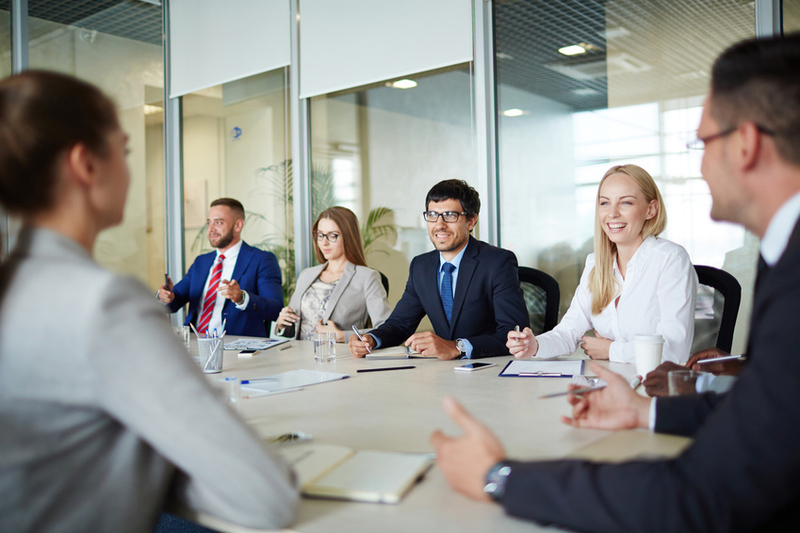 While Candidate A may have a long history of executive experience, but they may not be as sensitive to your objectives and they may not have the vision required to advance your mission. They have successfully driven myriad organizations to improved financial and operational outcomes, but they don’t fully understand your clinical focus. Candidate B may be a physician who has displayed excellent leadership qualities and who already has a relationship with your clinical team. In this case, it may be a good cultural fit, but they may be too mission-driven, or too focused on improving a single aspect of your services to provide thought leadership in the organizational realm. Either of these candidates has potential, but if you had to choose one, which would it be? Further investigation is necessary. They have the ability to motivate. Top leaders need to be able to ask the hard questions and push for change when and where it’s needed. They should be able to motivate others to take up their cause and see it through to its fruition. They are relationship-focused. Obtaining results in a healthcare setting begins with trust. The only way to get physicians, clinical leaders, and nurses on the front lines to be open is to establish trust through open communication. If a leader comes from another industry, this is even more difficult as there will be a perception that they don’t really understand what the issues are. A relationship-focused leader will transcend these barriers to bridge the gap. They have operational experience. Having a background that includes organizational transformation is very desirable in a leader. Knowing what may impede progress is an important part of knowing how to avoid them. A good leader will foresee these issues and steer the organization away from them. They should be respectful of how far you’ve already come. Beware the leader who seeks to establish change right away. The ability to take a step back and observe processes is important, as even if they are flawed, there may be a rationale as to why things are the way they are. A confident leader will realize that it takes time to understand the complexities of the operation and will learn as much as he or she can before implementing any sweeping changes. Finding your next healthcare executive doesn’t have to be painful. If you are interested in speaking to one of our Life Sciences headhunters about your recruiting needs, call Pact and Partners today. Before beginning any important task or endeavor, preparation is essential. This stands true for pretty much everything, from professional sports to a presentation for your sales team and everything in between. Knowing what your objectives are before diving in is the key to success. The alternative–not knowing or being able to articulate exactly what you need to accomplish–will only lengthen the process and may require continual adjustment along the way. Since your time is valuable, it’s in your best interests to do some of the legwork prior to setting out, that way, not a moment will be wasted. This philosophy holds true for executive recruiting as much as it does for a press conference. If you are just beginning the recruitment process, ask yourself: do you know what it is you are trying to accomplish? What does your ideal candidate look like and what is the role he or she will need to fulfill relative to other employees and departments? Articulating this role may necessarily involve bringing others into the conversation. Discussions need to be had with regard to skills, experience, culture, budget, and salaries prior to launching a recruiting initiative. You will need to include others from the team into which you are hiring and ensure that their needs are going to be met. All this should take place before you speak to a recruiter. It’s a time-consuming and costly process, but the right preparation on your part will drastically narrow the scope of your search and allow you to focus solely on the candidates who are a good fit. If what it boils down to is the “I’ll know it when I see it” mentality, you’re already off on the wrong foot. If you’re counting on a hunch to guide your decisions, you may be unduly lengthening the process and wasting a lot of your own and others’ time and effort. The truth is, your recruiter can’t climb inside your head to understand what this ideal looks and sounds like, so you will need to make an effort to help them. Giving them some kind of basis from which to base their search always helps. Arguably, one of the biggest issues in managing the recruitment process is that many employers first seek to replace like with like. When one employee leaves, you make an effort to replace them with somebody of the same or similar ilk. But, have you considered exactly what that person was doing? Were they taking on tasks outside of their “official” job description? Has the position evolved during their tenure, and is that job description still valid? Quite often, a high-level management or executive position requires a skill set beyond the actual job description. Depending on the individual, they may have evolved their job description considerably during the time they were in it. Over time, you may have come to depend on their insight on specific tasks though it may not have been part of the scope of the job they were originally hired for. Being able to identify these details in advance will allow you to think outside the box when recruiting â€“ and will give your recruiter something to run with. After all, a recruiter only knows what you tell them. The more you can share, the more efficient the process will be. If we can now agree that preparation is the key to recruitment success, let’s look at some steps you can take to get that process off to a good start. Especially if you are filling a position that has already been vacated, you may not be aware of everything that person was doing. Speak to management and other high-level colleagues and find out what the real value proposition consists of. Are there others that are functioning in that role already? What are the gaps you are trying to fill? 2. What kind of person are you seeking? Beyond experience and skills, you must understand the culture you are recruiting into. Culture often may include micro-cultures within the greater culture. Your new hire must mesh with the established culture, so the personality fit is going to be crucial. Who are they going to report to? Who is going to report to them? What are the issues or barriers, as you see them? 3. How will we evaluate each candidate? Having a well-defined set of standards and criteria will help your recruiter more easily benchmark a candidate’s skills. It makes for a more streamlined process if everybody is using the same standards during the evaluation process. 4. What are we willing to offer to the right candidate? The job market is very competitive in life sciences. Beyond salaries, you should have an idea of what you are willing to offer your ideal candidate. Are there areas in which you are willing to be flexible, or are there perks you can offer that would make your proposal even more attractive? Find out what your top competitors offer and see if you can compete. Walk through these steps thoughtfully and you will be well on your way to a successful recruiting process. Your results will be more consistent and you will reach the finish line with a minimum of stress and wasted time.